Coming out of Shreveport Louisiana, Josh Booty was THE two sport star. Josh was simultaneously the #1 overall QB prospect and the #1 prospect of the Florida Marlins. The 5th pick in the MLB draft at 3rd base, Booty would go on to win a World Series with the Marlins. After being released from MLB, Josh returned to the Nick Saben led LSU Tigers to start at QB, leading them to a Peach Bowl victory. Following the seasons, Josh caught the eye of Seattle Seahawks and was taken in the 6th round, spending 4 seasons in the the NFL Seahawks, Browns, and Raiders. 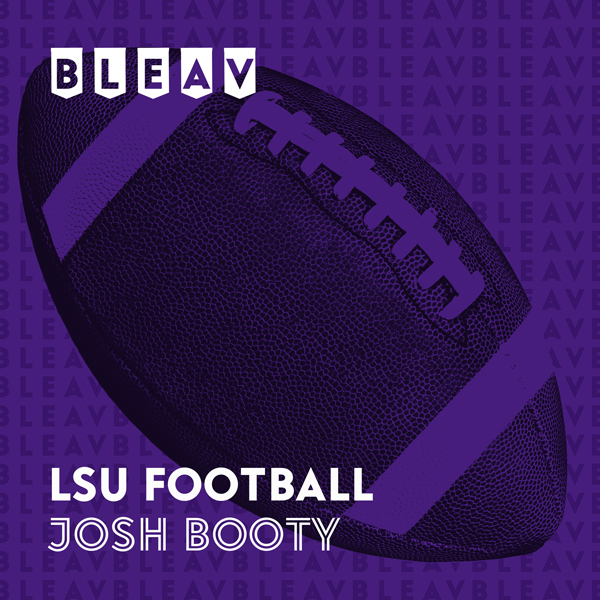 Returning to cover his alma mater, Josh brings incredible insight few can match to the Bleav Podcast Network.